I did get that wrong, but it seemed just like the problem Mark described. And whether they are freelancers that are inicially recommended to me to invite for my job or freelancers that applied for my job by themselves doesn't really make a huge difference, does it? Eventually, I should be able to review the most suitable candidates (according to my specifications) first, either to invite them to apply for my job, or to invite an applicant for an interview. I'm sorry about the difficulties you're facing with hiring freelancers for your jobs. Looking at the points you outlined, it looks to me that there might be some confusion with the way jobs are posted. To your first point, please note that freelancers who do not meet your preferred qualifications will still be able to apply to your job. We do educate and advise freelancers against submitting a proposal which does not match their skill set. We do sort out freelancers in the proposals list by best match, but stopped moving proposals that don't match client's requirements to a different folder, due to freelancers feedback who found this practice unfair. 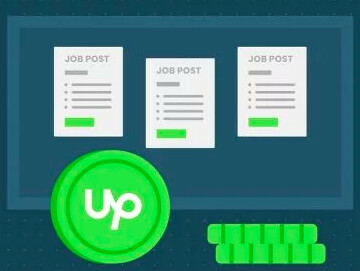 To your second point, the applicants list contains proposals from users who applied to your job, and those freelancers are not offered by Upwork. I found the proposal you mentioned and will forward it to our team. Regarding filtering proposals, we've shared this feedback with our Product team and they are exploring this option. Seeing that you have a clear idea about the type of freelancer you need, I'd suggest running a search and using appropriate filters to account for the requirements you mentioned, and inviting users who meet all the qualifications to bid on your job. In your case, I think this method would more appropriate than posting a public job, since you already know exactly what you need. #4 I'll share your thoughts about expanding the proposals list with our team. #5 Could you please take a screenshot of the proposals which are shown both in the proposals list and the archived folder, and send them to Customer Support? #7 It's possible that a freelancer hasn't completed the number of jobs required to get a Job Success Score on their profile yet. For the other users you mentioned, the previous jobs on their profile might be the ones they completed on Elance, or they might have been completed more than two years ago and the freelancer only recently resumed using they account, which is the time frame Job Success Score takes into account. #8 Please see this Help article, which you can access from the proposal tile or freelancer's profile. #9 Please see our announcement here for more information about the Rising Talent program. #10 To understand a difference between freelancers and agency contractors (freelancers submitting proposals under their Agency), please see this Help article and Hiring Headquarters blog about Agencies. #11 You can use the "details" link and find more information about a specific test the freelancer completed. Skill tests are one of the indicators of the user's abilities, and you can also check if the user has verified their language proficiency, along with reviewing feedback left by other clients. #12 Freelancers have the ability to bid their own rate for your job, and it doesn't necessarily have to match the budget you've stated in your job post. You can search freelancers by their hourly rate to get a closer match, but invited freelancers can also negotiate their rate when discussing contract terms. I'll share your suggestions and feedback with the team, and do please send us screenshots of the proposals that you mentioned are showing up in both the proposals list and the archived tab. Feel free to follow up with any questions you might have so we can clarify any remaining confusion about Upwork's procedures and processes. Thanks for the reply Vladimir. In fairness to Upwork, I should also mention that an Upwork rep also contacted me privately today regarding these issues, which I appreciate. "To your first point, please note that freelancers who do not meet your preferred qualifications will still be able to apply to your job." Yes, this is precisely the problem. I'm not really sure why there can't simply be a check-box beside each qualification on the "post a new job" page that toggles whether a qualification is "required" or not... so, if I check that box beside the "At least 1 hour billed" qualification, for instance, then anyone without any hours billed on Upwork would be unable to apply for my job. If I don't check the "required" box for a given qualification, then freelancers who don't meet that requirement would still be able to apply. Simple solution that completely solves the issue. "We do sort out freelancers in the proposals list by best match, but stopped moving proposals that don't match client's requirements to a different folder, due to freelancers feedback who found this practice unfair." Sorry, but as a client, I really couldn't care less whether a freelancer thinks it's "unfair" they can't apply for a job they're unqualified for.... I know what I want in a candidate, and if someone doesn't meet the requirements of the job, I have no interest in looking at their application, because it's simply a waste of my time. "To your second point, the applicants list contains proposals from users who applied to your job, and those freelancers are not offered by Upwork." "Seeing that you have a clear idea about the type of freelancer you need, I'd suggest running a search and using appropriate filters to account for the requirements you mentioned, and inviting users who meet all the qualifications to bid on your job. In your case, I think this method would more appropriate than posting a public job, since you already know exactly what you need." "#4 I'll share your thoughts about expanding the proposals list with our team." Thank you. Again, the solution to this one is ridiculously simple: have a drop-down at the top of the applicants list where I can select how many applicants I want to see on one page (ie. 10, 20, 50, 100, 500). "#5 Could you please take a screenshot of the proposals which are shown both in the proposals list and the archived folder, and send them to Customer Support?" This issue seemed to resolve itself about an hour after I finished shortlisting/archiving all the applicants. Now, it does appear to only show the ones who are not archived. If I post another job, I will take a screenshot or video showing the issue, because I know it will arise again (this recent time was the 3rd job post where I've experienced this issue). I am using Chrome on Mac OSX. "#8 Please see this Help article, which you can access from the proposal tile or freelancer's profile." Thanks. This clarifies things somewhat, although I still think it's far too complex for the average client to really understand fully. Further simplification of the factors that go into the Job Score rating, and more transparency about a freelancer's work history and past feedback, would make life easier when screening applicants. In the case of the applicant to my recent job who had a Job Score of 88% and 3 public jobs listed on her profile (all with a 5.00 feedback score), how do I know whether she's had 4 jobs with feedback of "6 out of 10" or a single bad experience with a client who gave her a 0 out of 10? I know the math may not add up there, but my point is just that it's so confusing that it's hard to trust the score or really get a good sense of what it says about the freelancer's past performance. In general, if you have to refer a client who has hired over 100 times on Upwork in the past 3 years to the Help docs to figure out how a core feature works, there's probably a need to simplify and clarify the process for all clients. "#9 Please see ourannouncement here for more information about the Rising Talent program." Thanks for the info. 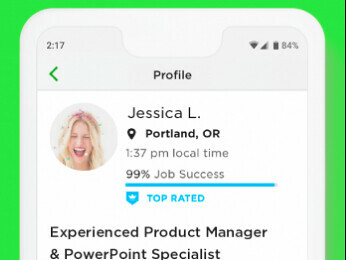 My core issue remains, though: someone with zero work history on Upwork can be given the "Rising Star" badge just for completing their profile and applying for jobs that are appropriate based on their (100% self-assesssed) skillset. On my recent job, I had applications from "Rising Talent" freelancers who had 0 hours worked, bid half the rate specified in the job post, and clearly spoke little or no English... to me, that just indicates I can't rely on the Rising Star badge to provide any useful information about the applicant. This certainly isn't a major issue, and I can understand the idea behind it, but I just wanted to convey that (for me personally) it's not helpful when evaluating a candidate. "#10 To understand a difference between freelancers and agency contractors (freelancers submitting proposals under their Agency), please see this Help article and Hiring Headquarters blog about Agencies." 1.) Why can't I disallow agency applications completely? This is a no-brainer and a 2-minute fix for your coders. 2.) What does it mean if a freelancer is "associated with" an agency (as shown on the right sidebar of an applicant's profile)? The Help article doesn't even mention that at all. 3.) One Upwork help chat rep talked about "exclusive" and "non-exclusive" freelancers... there is absolutely no mention of this at all in the Help docs. 4.) Why am I receiving applications from an agency whose "relevant contractor" is also an agency? Is there any oversight over agencies and their applications at all? Why the total lack of transparency around agencies? Why force clients to dig through help docs or talk to clueless chat support reps to try and figure out whether they're hiring an agency or an individual? Why not make this 100% clear to clients in the applications list, and provide an option to disallow all agency applications? These are, once again, simple changes that almost all clients would surely appreciate and benefit from. "#11 You can use the "details" link and find more information about a specific test the freelancer completed. Skill tests are one of the indicators of the user's abilities, and you can also check if the user has verified their language proficiency, along with reviewing feedback left by other clients." Thanks, you're right, this is useful. Unfortunately, I also recently found out that freelancers can HIDE any test score they choose from their public profile, which means they might have scored 1.2 out of 5.0 on 10 different tests, and aced another 2 tests, and then chosen to hide all but the two fattering scores. All test scores should be public, period -- if a freelancer is uncomfortable taking a test because they are unsure if they'll perform well, they should not take the test in the first place. I'm sure clients might complain about this change if it were implemented, to which my response would be "tough, take the test again and do better this time".... as a client, I want to know ALL the details about an applicant, not just the ones he/she wishes to share with me. Anyway, I think I'm in the minority on this one, so I withdraw my complaint about this issue (aside from what I've mentioned above)... even with further enhancements, I don't think that i personally would be comfortable using the test scores as a means to evaluate a candidate, but the additional details about each test certainly do give them more value than I had initially thought. 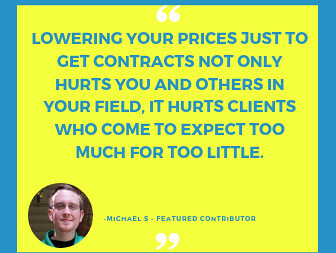 "#12 Freelancers have the ability to bid their own rate for your job, and it doesn't necessarily have to match the budget you've stated in your job post. You can search freelancers by their hourly rate to get a closer match, but invited freelancers can also negotiate their rate when discussing contract terms." Yes, thanks, you have summarized the problem very well with that statement. Simply put, I want to receive only applications from those freelancers willing to accept the non-negotiable salary I specify.... and I can't do that. Why? Why force me to dig through the list of thousands of contractors who may or may not be interested, be willing to accept the rate I'm offering, and manually invite all of them (even though I still don't know if they'll actually bid for the job at the rate specified)? This one is unexcuseable to me... I know what I want to pay for a given position (especially since we have 7 contractors already doing the same job at the same rate), and I am not interested in receiving applications from anyone who does not want to do the job at that rate.... and yet your proposed solution is to spend even MORE time trying to achieve what could be fixed with a simple check box that forces freelancers to apply at the specified rate, or don't apply at all. If I receive no applications because no-one is interested in doing the job for the salary I'm offering, well then I'm out of luck and I'll have to raise the rate if I want to find a contractor to fill the position. The whole point is that I don't want to have to spend hours trying to find a qualified candidate, and your suggestion involves spending MORE time doing so. Why not make life EASIER for clients by implementing this kind of incredibly simple solution? If you're concerned about overcomplicating things for new clients by having too many settings and check-boxes in the job post options, how about a single check-box in a client's Account Settings page that enables "advanced features"?? We can take tests an unlimited number of times, but the new scores don't replace the old, they just add another score to our interface. If all of our test scores were public, you'd see what we see on our own profiles–the same tests listed multiple times with different scores. In some cases, that section of the profile would be cluttered and difficult to read. Some of the reasons it is unfair is not the freelancers fault. For example.... Hours worked on Upwork is a big one. Many freelancers, including myself work mostly fixed rate jobs. I have worked over 100 jobs but I only have a little over 100 hours and that's because I happen to have a sporadic long term hourly job, but if I didn't have that one job, I'd still have worked over 100 jobs (at a fixed rate) but if I applied to your job, it would show that I have exactly 0 hours and I would not be considered by you when I have worked a TON of hours on Upwork. Of course, that's hypothetical as I am not a customer service rep and would not apply for the job anyway but I would be very upset if I couldn't apply to jobs because I haven't worked enough "hourly" jobs. I can't, for the life of me, understand why Upwork doesn't count fixed rate jobs as...anything. They simply don't exist until you click on the freelancers profile (which many clients won't do when they see the quick snapshot of 0 hours) and then it doesn't even make sense to see so many jobs completed with so few working hours. With that said, I have been hired for many jobs where I "technically" didn't meet the hours requirement (it was bright red on my screen when I applied and I applied anyway) which means the client clicked on me anyway and hired me anyway so not all clients are as strict with their requirements. I researched the differences between agencies and independent freelancers a while ago, and I think I got some answers to your questions 2.) and 3.). When a freelancer is associated with an agency, as I understand it they are part of an agency BUT that doesn't necessarily mean they cannot work as an individual freelancer for you. That depends on whether the freelancer is an exclusive agency-member (all contracts will be paid to the agency) or non-exclusive, which means he can also work independently. Apparently, non-exclusive freelancers have the choice to apply to jobs either as an agency member or as an individual, independent freelancer. I hope that clarifies things for you a bit. Hi Mark, let me follow up on some of your points here. It means that all proposals on the list are submitted directly by freelancers and not by Upwork, which is related to the fact that freelancers decide whether to submit a proposal or not and Upwork doesn't interfere in this process. From your previous comment, it sounded like you thought Upwork offered these freelancers on their own. Based on your comment and complaint regarding the number of applicants who don't meet all of your qualifications, posting invite-only jobs is a viable alternative when you already have a comprehensive list of requirements. We are monitoring clients' feedback and constantly looking into streamlining the screening and hiring process, on both public and private jobs. Please see my reply to your first and twelfth point in the previous post. That means that a freelancer is also part of an agency, whose details you can see by clicking on the agency link. That information is not really important for clients, as it pertains to the freelancer's status within the agency. In one of the freelancer facing Help articles on the same topic you can find further details about working for and managing an agency, which is not necessary for clients to read about as it doesn't impact the hiring process. It seems that the freelancer used their Freelancer profile to advertise their Agency, and the agency name was used instead of the user's real name. We'll follow up with the freelancer and address the error. Proposal tiles do show this information as you've noticed, as freelancer's proposals won't have agency details on them. As I've stated before, on publicly posted jobs we don't block proposals from applicants who do not meet client's requirements, and you as a client do have the option to archive proposals sent by agency contractors. I'll follow up with the team and check if we need to clarify this distinction further. As I've mentioned, we don't have a mechanism to exclude the proposals you don't want to receive on publicly posted jobs, and freelancers will continue to be able to set their rate when submitting proposals on these jobs. Most of the freelancers who applied to your job did bid in line with your prescribed budget, and users will often forgo on applying if a client clearly states that the budget is set in stone. However, clients sometimes agree on paying a higher rate than the one they were adamant about after negotiating with freelancers. I'll reiterate that if you'd like to receive only proposals which perfectly match your requirements and budget, posting a private job and inviting freelancers might be a better solution. I can confirm that this wouldn't take hours, and I hope other Community members who are hiring on the platform by using this method will follow up and share their experience soon. Thanks again for sharing your insight and the rationale for filtering the proposal list. While I understand this post is several months old, it appears to be the best summary of Upwork shotcomings. While I agree with just about all of the concerns listed, the biggest problem for me is the filtering of candidates during the interviewing process. More specifically, the ability to apply a status relevant to my evaluation needs. As far as I can determine, there are only three status that can be applied: Shortlisted, the abscense of being shortlisted, and Declined. As a transitioned ELance account, there was certainly more opportunity than this. If I recall there was a numeric ranking that I would apply to determine where each candidate was in the process. would be an applicant that met all criteria and provided all requested documentation. might be an applicant that had was recommended by the system, but had yet to communicate. might be initial conversation but had yet to complete the NDA, etc... There is nothing to help me manage each candidates status in Upwork. I'm now literally forced to use a spreadsheet to replace what should exist within Upwork. I will not be using Upwork again unless some form of expanded proposal status functionality is implemented. Thanks for showing us the client's side of things. Specifically how flawed the system is when it comes to recommending f'lancers and explains why the "good ones" aren't hired as much as before. I'll save this for future reference.
" The bond with a true dog is as lasting as the ties of this earth will ever be "